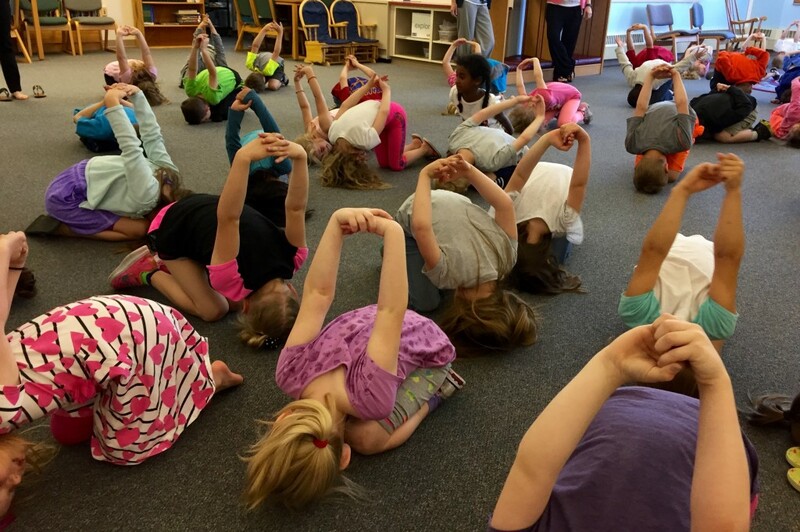 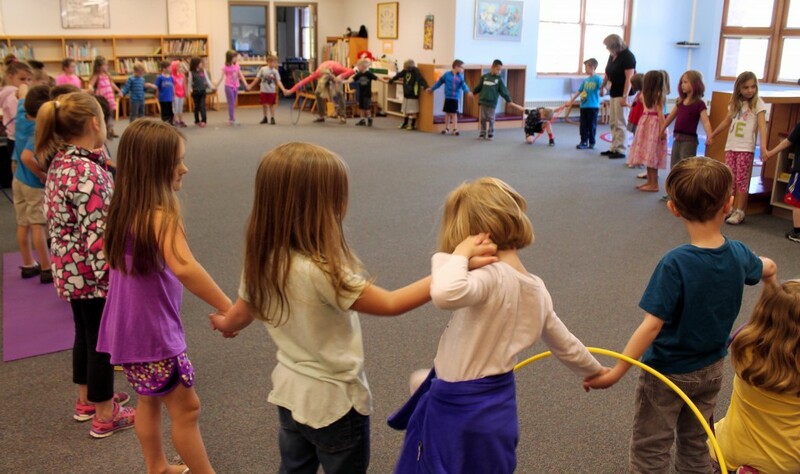 What do you get when you add 230 seasoned kindergarten yogis, a big school library and some fun-loving teachers? 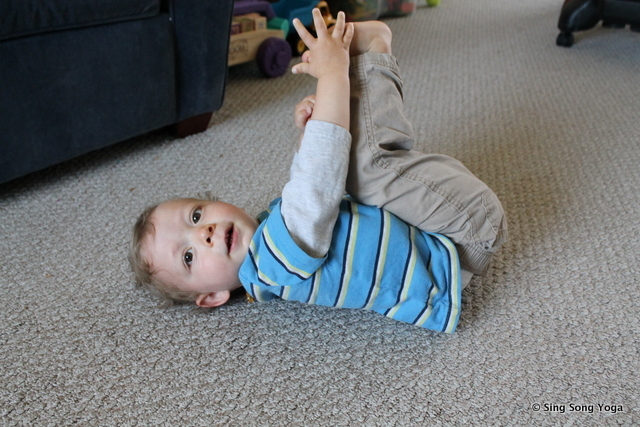 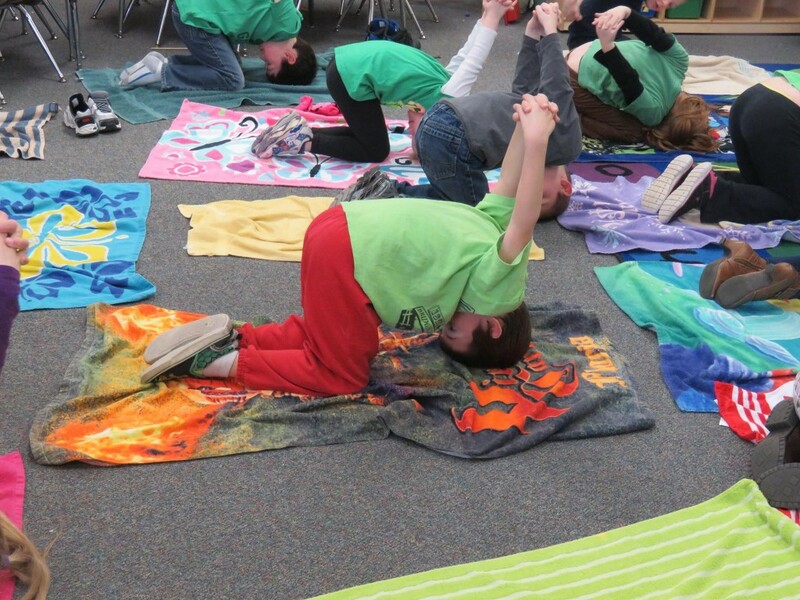 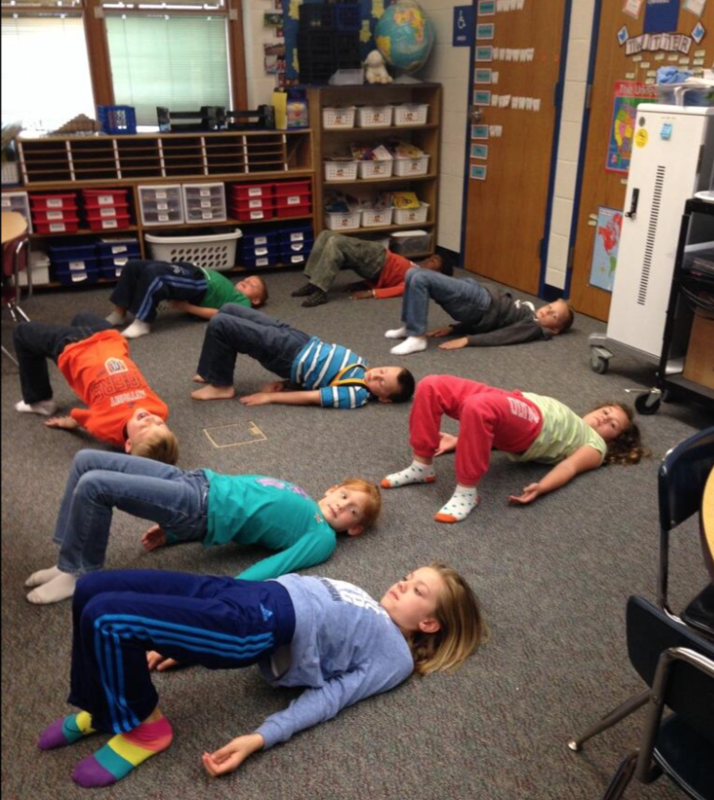 Fantastic yoga fun!! 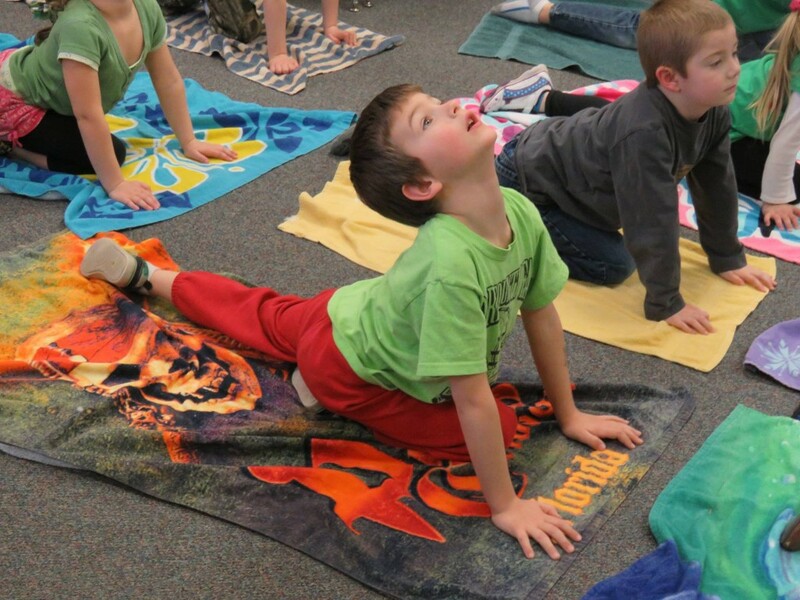 It was such a blast teaching Sing Song Yoga to several groups of kiddos at McFall Elementary in Thornapple Kellogg Schools yesterday morning! 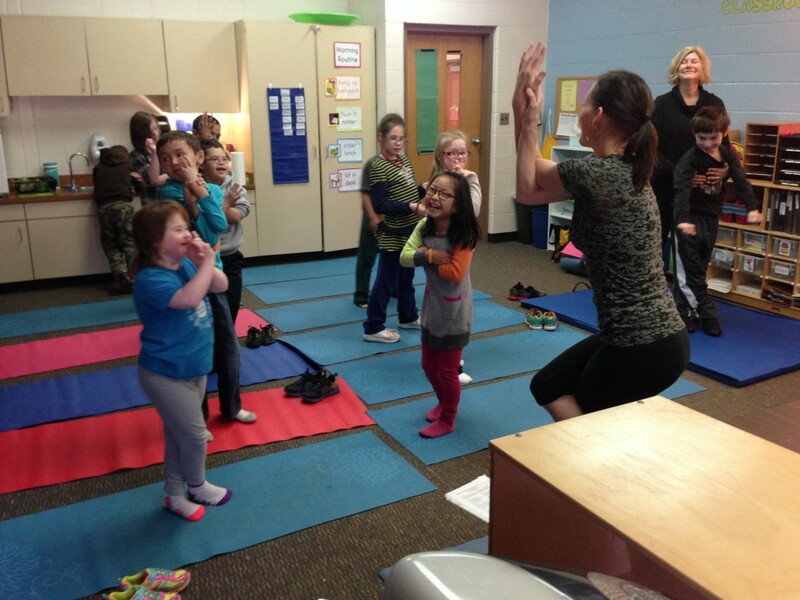 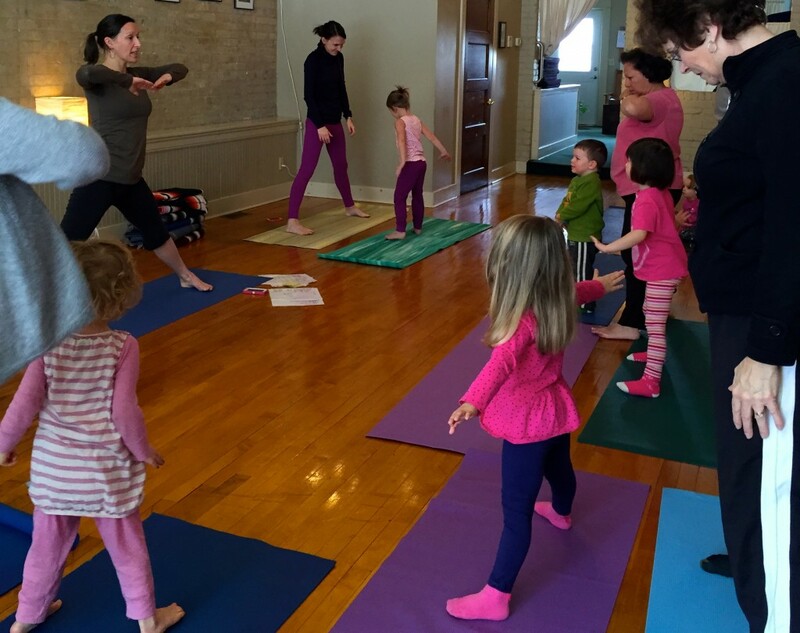 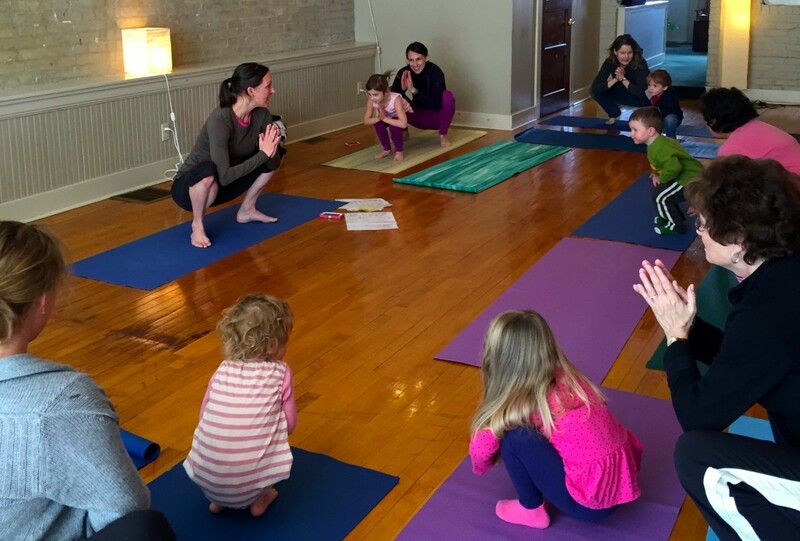 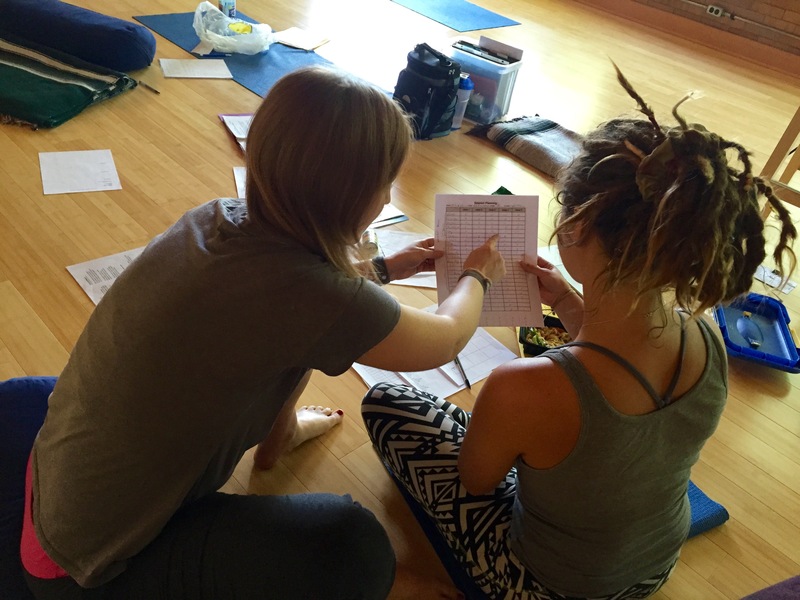 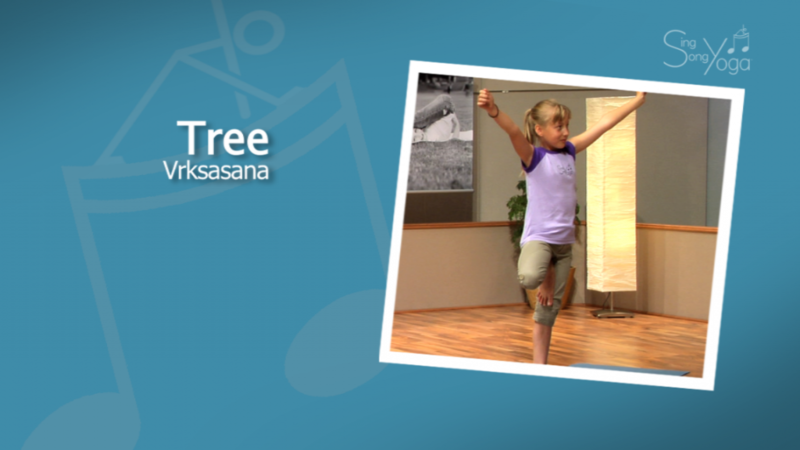 Happy faces, big hugs, warm hearts, high fives, singing yogis… Pure bliss! 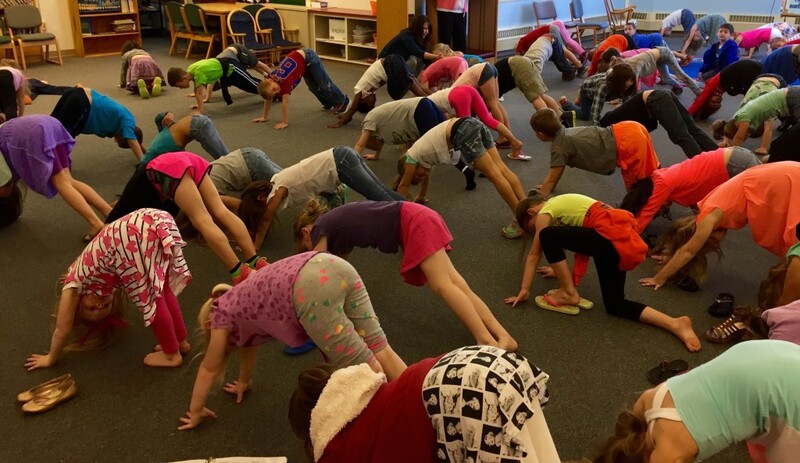 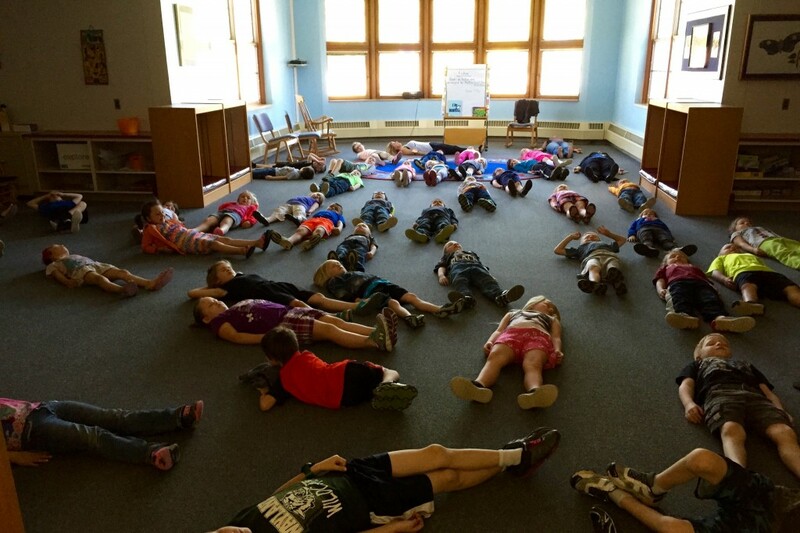 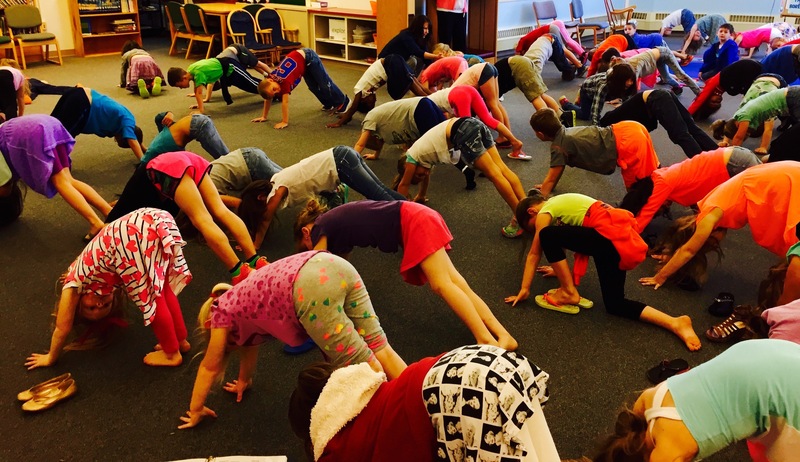 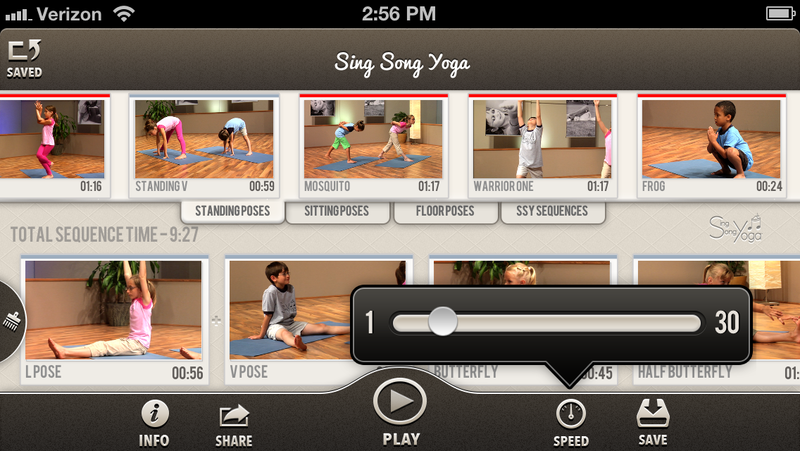 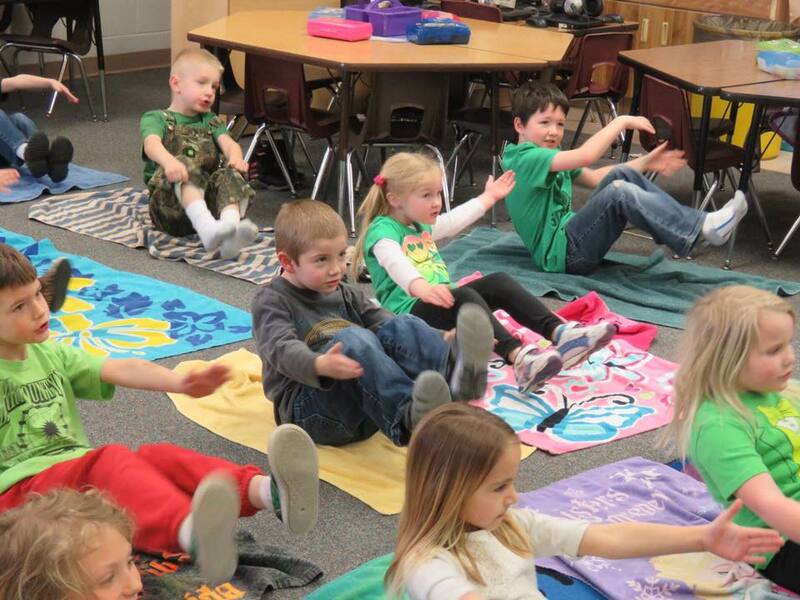 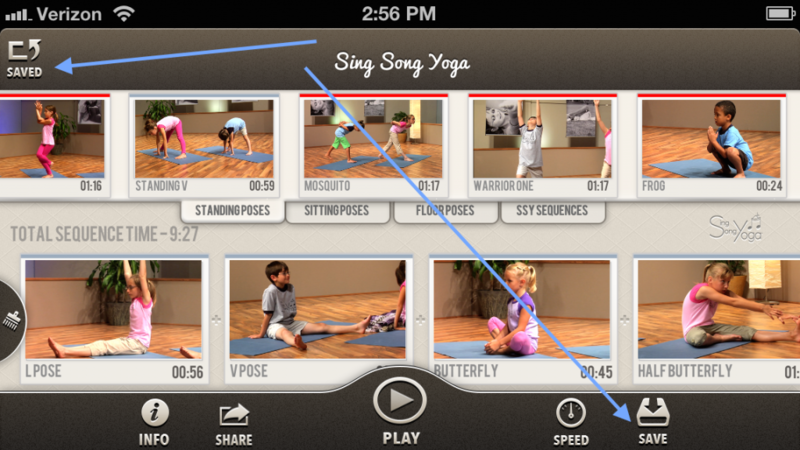 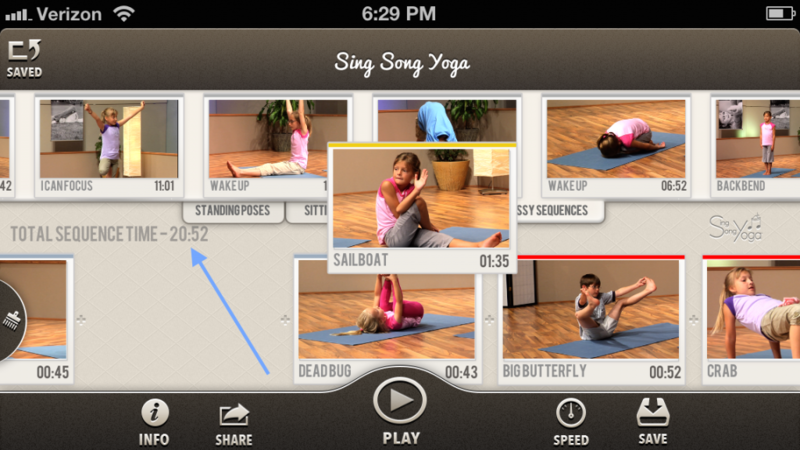 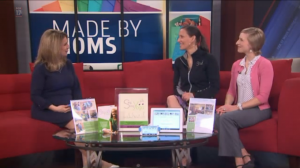 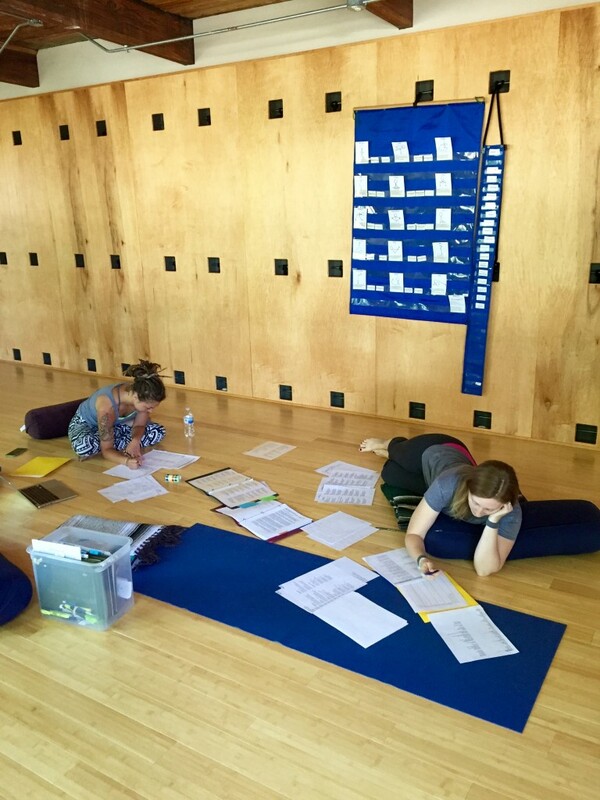 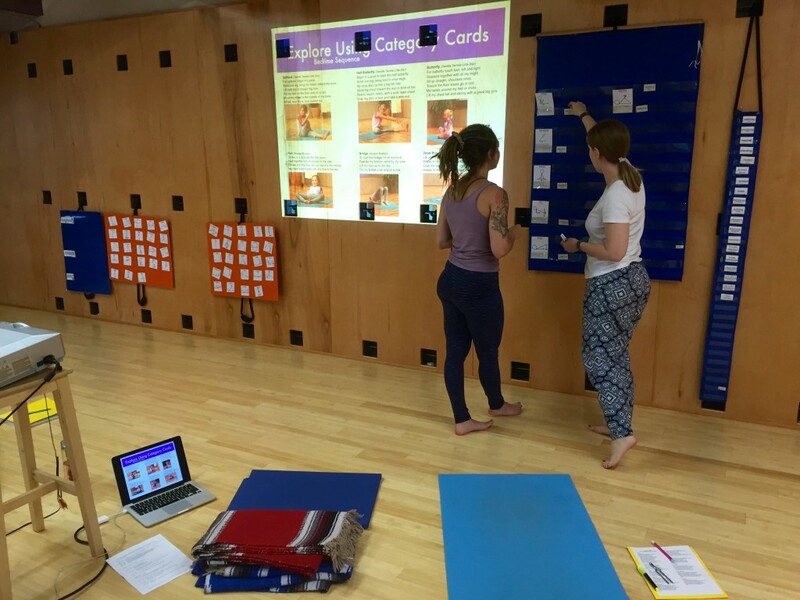 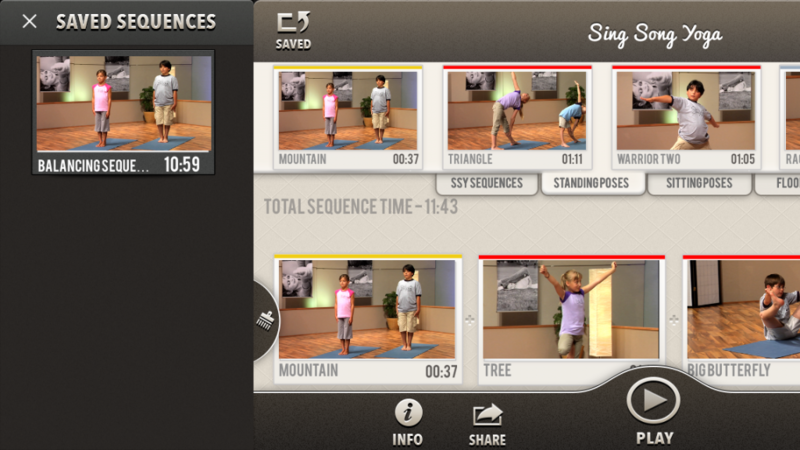 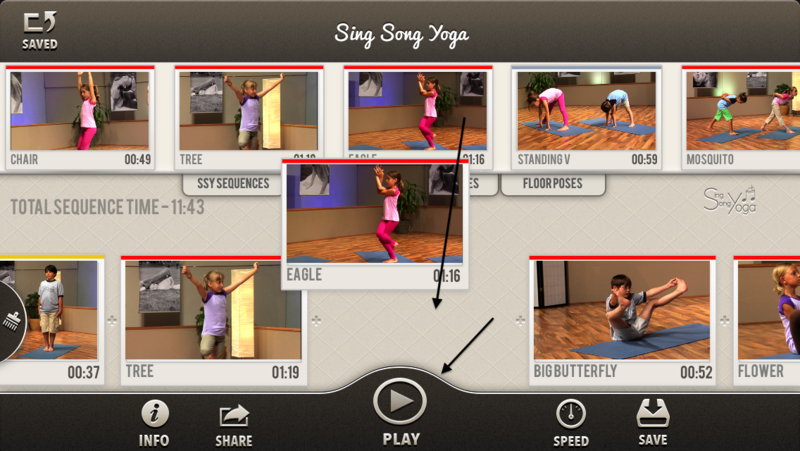 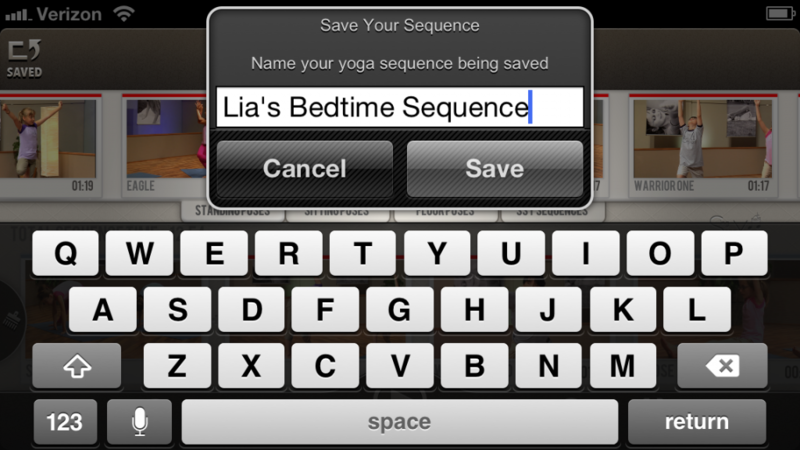 Teachers and students at McFall have been using either the Sing Song Yoga App or DVD in their classrooms for the past 4 years. 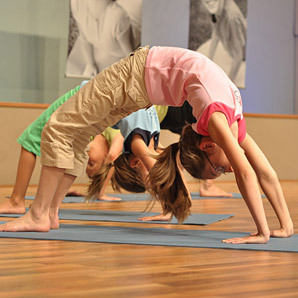 I certainly experienced their yoga wisdom in their poses, in their singing and in the way they appeared to have absorbed the essence of the program; empowerment — I am strong, smart and worthy and I matter! 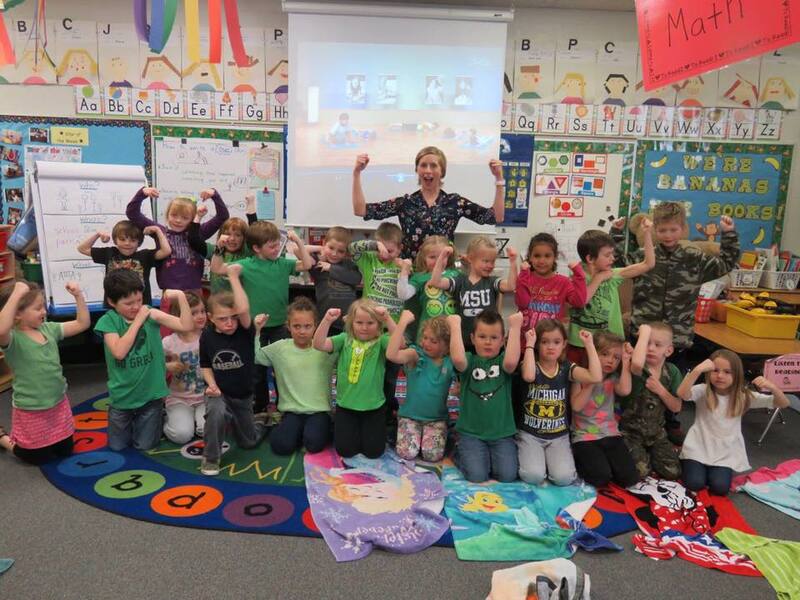 Thanks heaps for inviting me McFall! 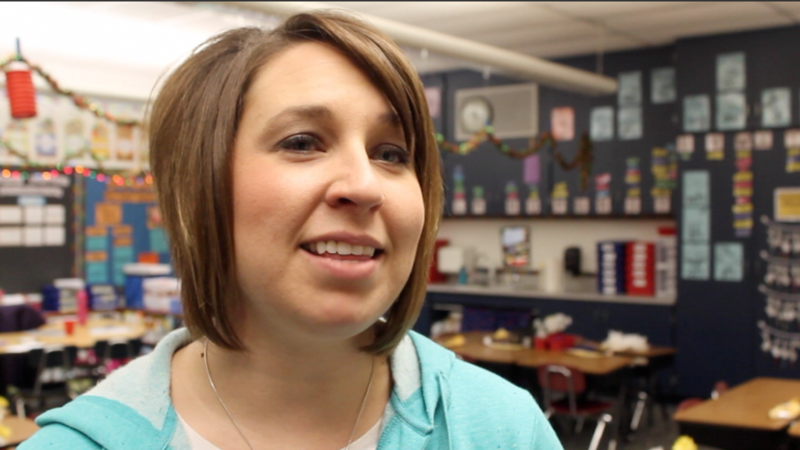 I’m so grateful for the time with your kiddos!! 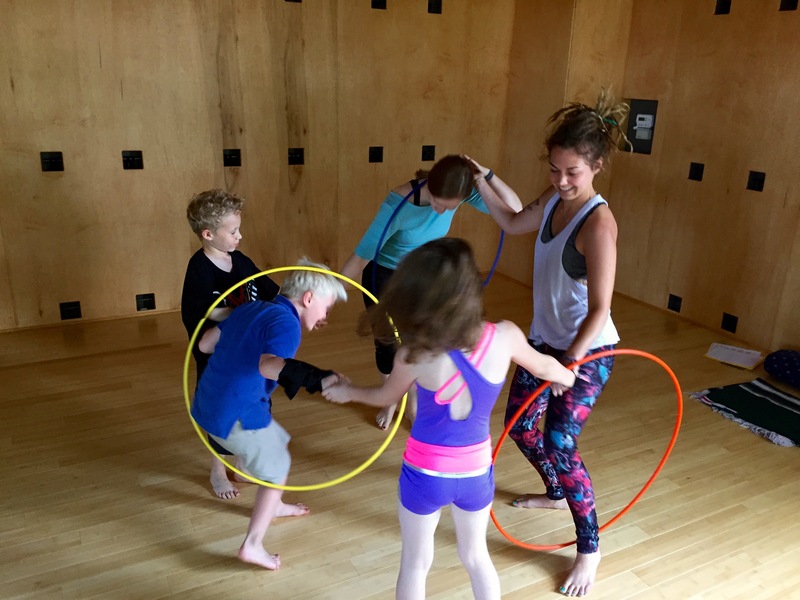 The heart goes pitter pat! 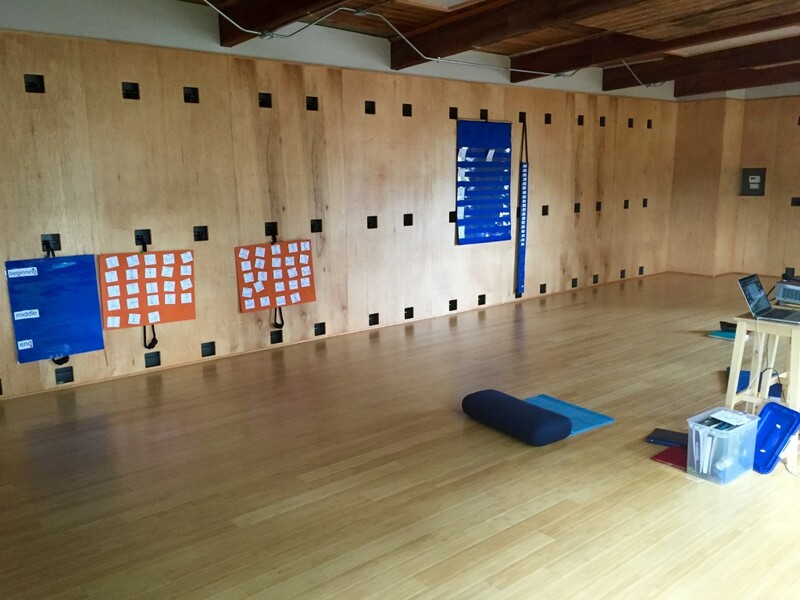 This entry was posted	on Friday, May 20th, 2016. 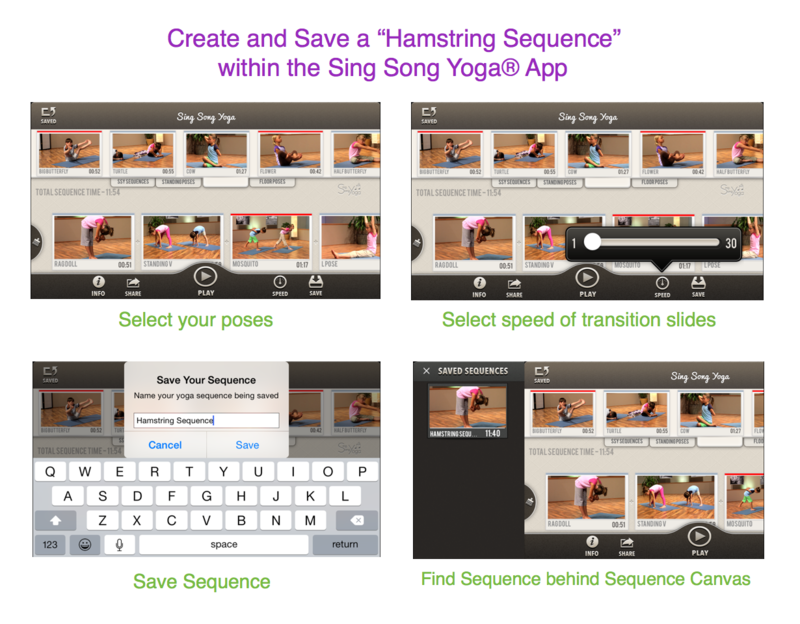 Posted in Sing Song Yoga, Yoga in Schools.